A Brief History Of Discovery Channel's Shark Week - We Love Sharks! 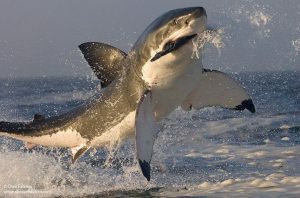 A Brief History Of Discovery Channel's Shark Week - We Love Sharks! History and Highlights of the week long Shark Week airing on the Discovery Channel. When Shark Week aired for the first time on July 17 1988, its main purpose was to focus on conservation efforts and correcting many of the common misconceptions about sharks. Gradually, it grew to become a hit program on the Discovery Channel Network. Today, about 29 years later, it airs in at least 72 countries and holds the record for the longest running cable television program in history since 2010. Here’s a brief history of the summer-time phenomenon called Shark Week, and a few highlights about it on its journey so far. They are actually two different accounts of how Shark Week started. One account is attributed to executive producer, Brooke Runnette. She reportedly told The Atlantic that the idea was born among a group of Discovery executives siting at a bar. One of them mentions the idea for a program called “Shark Week” and someone else quickly scribbled it down on a napkin. On the other hand, Eileen O’Neill, Discovery Channel’s group president, reportedly said it happened during a brain storming session with the founder of the company, John Hendricks. Whatever the case might be, the show eventually premiered in the summer of 1988 with a debut titled Caged in Fear. This episode examined the science behind motorized shark cages. Ratings quickly galloped and Discovery reportedly recorded double their normal ratings before the 10-program lineup was done for that year. Milestones And Major Highlights So Far. 1988: The show premiered with Caged in Fear and other shows like The Shark Takes a Siesta, and Shark – Predators or Prey. 1989: The show was so successful the previous year that Discovery decides to continue it every year thereafter. Titles for 1989 included Shark: Maneater or Myth? and Shark Hunters of Achill Island, etc. 1994: Shark Week begins to get high-profile endorsements. For the first time since inception, Shark Week had a host. The host was Jaws author Peter Benchley and to add more ‘bite’ to it, each program was introduced at one of the locations were the movie was filmed. 1999: This year saw a major milestone with Shark Week airing its first-ever live program titled Live From a Shark Cage. It was a 2-hour special filmed at Bikini Atoll in the Pacific Ocean and hosted by journalist Forrest Sawyer. This episode also featured cinematographer Al Giddings. their prey. It was made possible using Discovery’s Phantom Camera and this show recorded one of the highest views ever in Shark Week history. 2002: This year saw a full celebrity edition. Mark McGrath (singer), Brian McKnight (singer/songwriter), and Gabrielle Reece (volley ball player) actually swam with sharks. Discovery also incorporated some of its other hit shows into Shark Week programs with special editions of MythBusters (2005), and Dirty Jobs (2006). 2003: Though there was no host for Shark Week that year, the show Anatomy of a Shark Bite recorded the second-highest viewing ever in Shark Week history. 2007: Shark Week celebrated its 20th year anniversary and launched a video game named Sharkrunners. 2010: Shark Week 2010 recorded 30.8 million unique viewers and was rated the most viewed Shark Week ever. It featured Discovery Channels giant inflatable great white, Chompie. That same year, Discovery collaborated with the non-profit Oceana to promote conservation efforts. 2013: Discovery Channel received a lot of criticism and backlash for Megalodon: The Monster Shark Lives. Though the show was fictitious, the general public, and the science world in particular, felt it was manipulative and that it promoted bad science. 2017: Shark Week 2017 is scheduled to air on July 23 for the 29th year running. No doubt, Shark Week is officially synonymous with the American summer time. And, it’s getting more views as the years go by. On the plus side, it continues to promote conservation efforts. Also, it’s helping to correct many of the misconceptions about sharks that the media and movies like Jaws have helped to spread. Its programs like African Shark Safari, and Sharks on the Brink of Extinction are just a few examples. On the other hand, the science world is not a ‘fan’ of Shark Week. Discovery Channel has faced a lot of outcry from that quarter because of its tendency to sensationalize shark issues sometimes. Take for instance the Megalodon documentary hoax in 2013. Whatever the case may be, the general public’s fascination with sharks is not waning. On the contrary, the sense of anticipation building up in the weeks leading to Shark Week 2017 is almost palpable.